Warning: Do you use Sun cream? 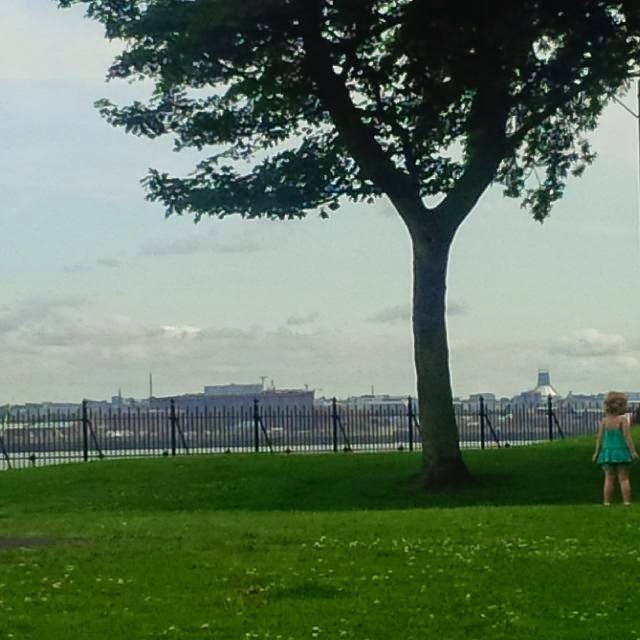 So, yesterday I went for a day in out in one of our local parks with Olivia and one of my sisters, her 2 kids and one of our friends and her son. 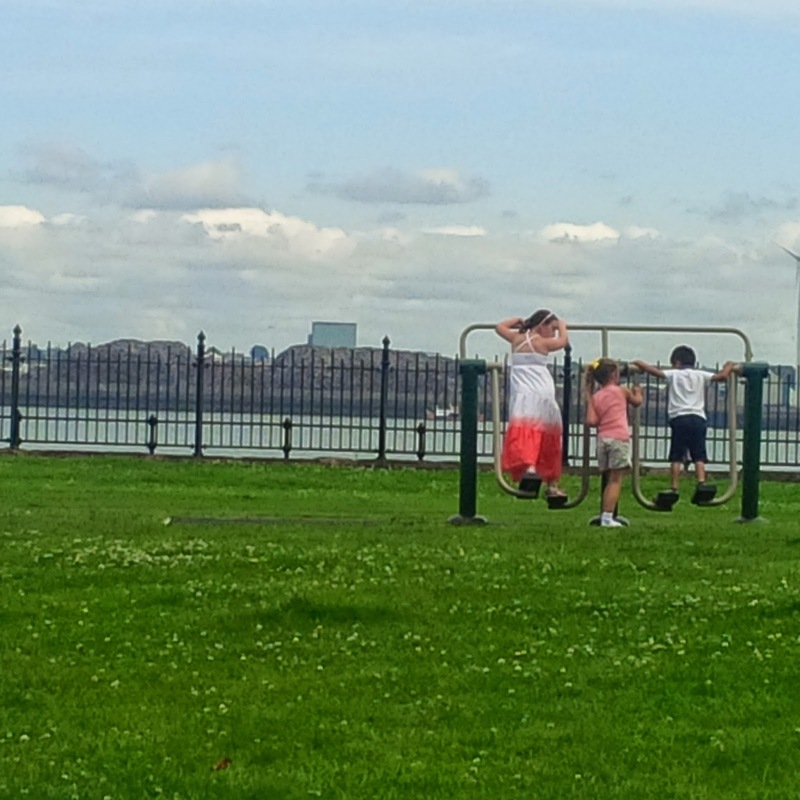 The park over looks the River Mersey and for years and years and years and years (honest!) it has played host to a summertime show called Joytime! I used to take part when I was Olivia’s age and it is still going strong all these years later! 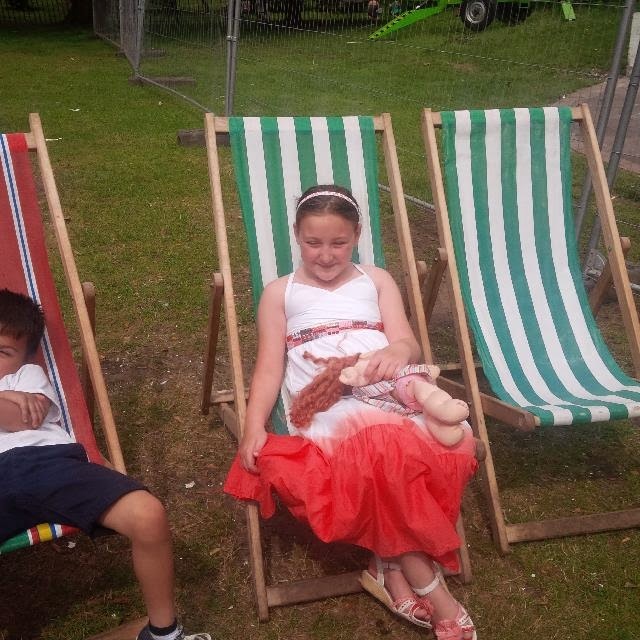 We took a picnic with us and before we left we covered the kids in suncream as it was looking to be one of the hottest days of the year but……… I don’t need sun cream, I mean its England it doesn’t really get that hot for me to need it does it! And off we went. Whilst we ate, we being the grown ups, the trio went off to play as they weren’t really in the mood for eating, and we entertained my 10 month old nephew. Before heading to watch the show we again covered them all in factor 50+ but not ourselves regardless of the fact that we were all out in the midday sun! About half an hour later I started to feel the burn! And boy was I burning, I was sizzling like bacon! So then, and only then did I decide to put sun cream on, because obviously that is the correct time to be putting sun cream on isn’t it! We did keep applying to myself and the kids for the rest of the afternoon but seriously it was an absolute scorcher of a day and at one point we had to put Olivia in the UV tent we had for the baby she’s not a sun kinda person at all. Fast forward to today and boy am I sore but worse is Olivia! After being caked in 50+ she still got burnt and now has tan lines around the straps of her dress. Cooked like chicken! I am in agony, Olivia isn’t quite as red as you can see but she has definitely tanned and will be covering up today! Me however, I will learning my lesson and using sun cream every time I am out in the sun from now on, well as soon as this burning dies down anyway! Soooo, what have I learnt! Sun protection is not just for children! This country gets hotter than we I realise. 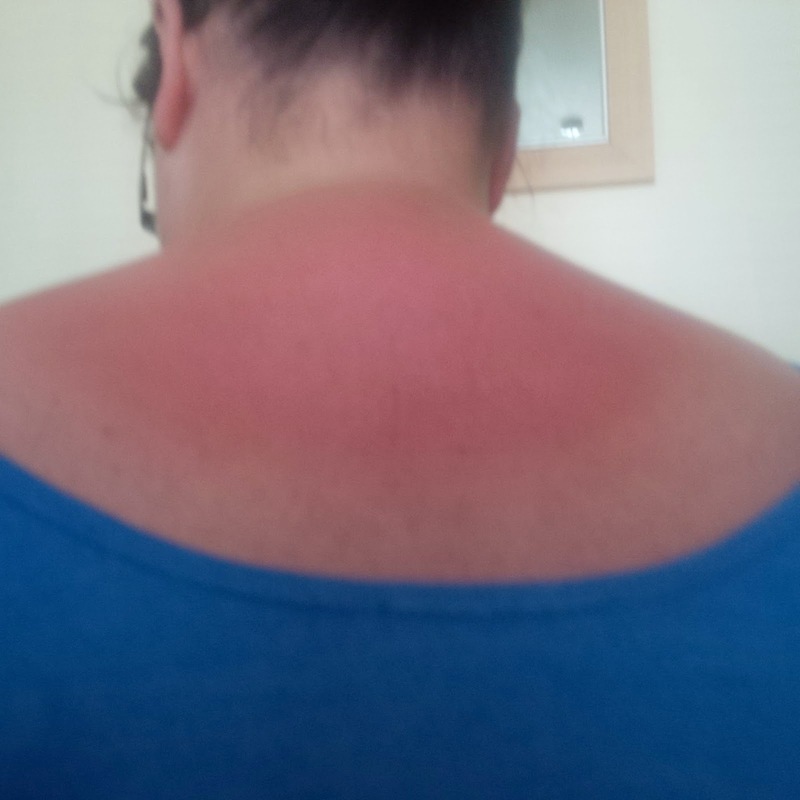 I really need to stop cooking myself to a crisp because it bloomin’ well hurts like a ……..
Do you do the same as me or do you religiously use sun cream every time you step outside? Next Our Giant Day Out!